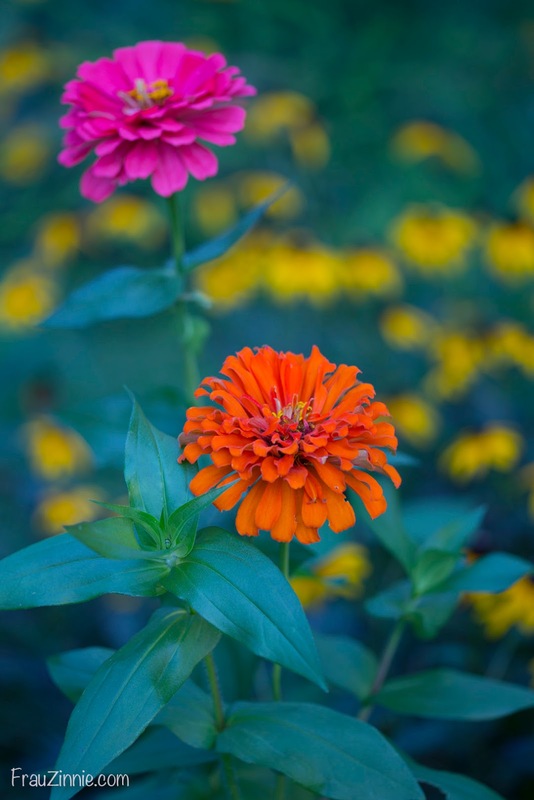 When Spanish colonists first encountered zinnias in Mexico, they nicknamed them mal de ojos, or evil eyes. The wildflowers were considered a weed, with dull-purplish red flowers. Thanks to this guy for discovering zinnias. 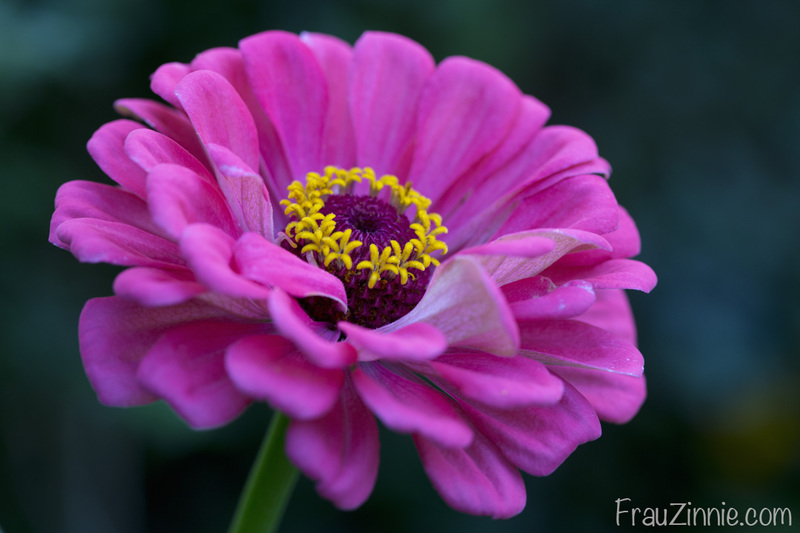 The zinnia has come a long way since then, but the allusion to eyes doesn't end there. 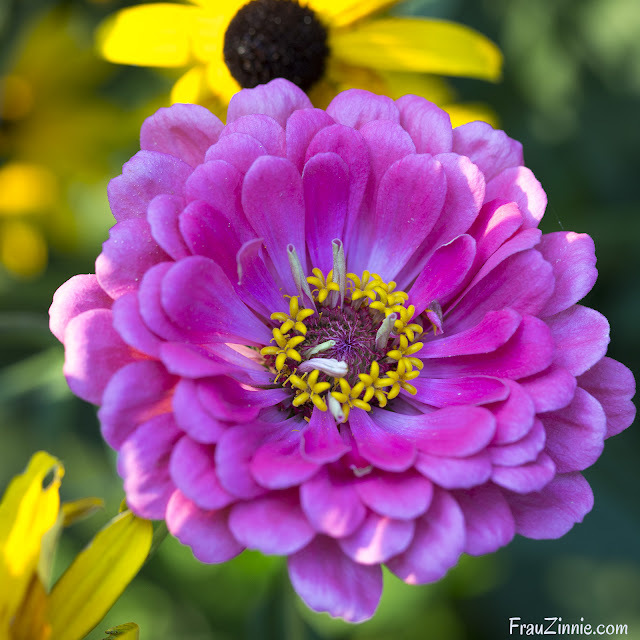 Zinnias were officially named after Dr. Johann Gottfried Zinn, a German botanist, who was the first to detail the anatomy of the human eye. 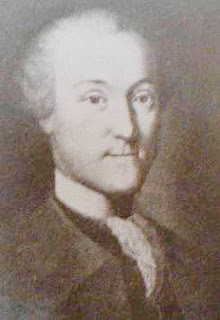 According to the Lady Bird Johnson Wildflower Center, Zinn collected seeds of Zinnia elegans while in Mexico in the 1700s. He was accosted by bandits who, after searching his bag, found the seeds and decided to leave him alone, believing him crazy and therefore unlucky. 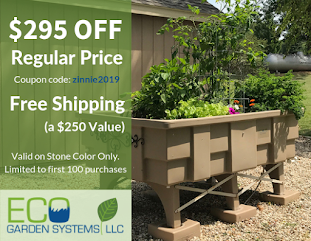 Today there are many different types of zinnias, and the one that is most popular to grow in gardens is Zinnia elegans, the tall, bright-colored annual grown during summer. 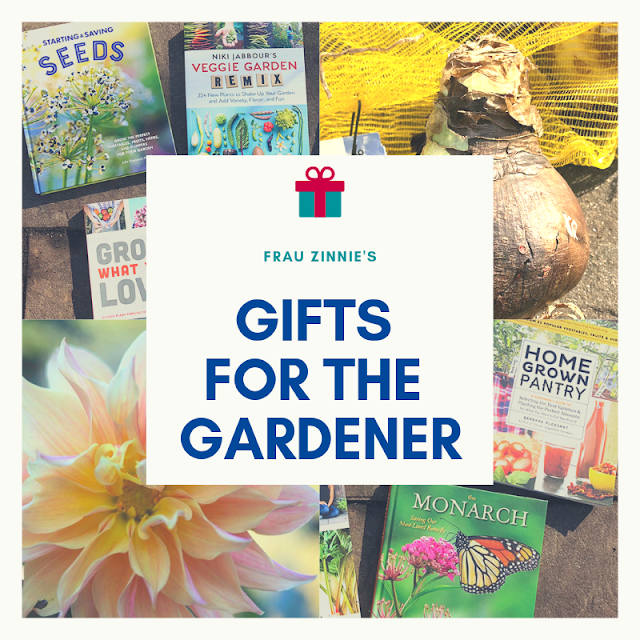 Two other popular zinnia families include Zinnia grandiflora (which is low growing) and Zinnia marylandica (which is ideal for extreme heat, humid and drought-stricken areas). And let's just say that now all zinnias are much easier on the eyes. 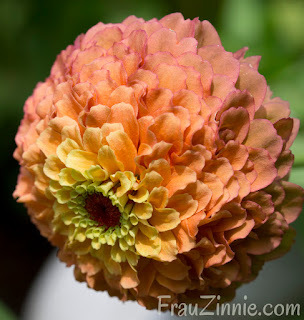 Zinnias are native plants, originating in the Southwest U.S., Mexico and Central America. They attract pollinators, such as bumblebees, butterflies and hummingbirds. They are members of the aster family (Asteraceae). Depending on the variety, they can be short edging plants (six inches tall) or grow as high as four feet. You'll want to find a sunny spot to grow them. Zinnias are heat and drought tolerant once established. You can plant them directly in the ground after your last frost and the ground has warmed up a bit. Or you can start them indoors to get a jump on the blooming period. 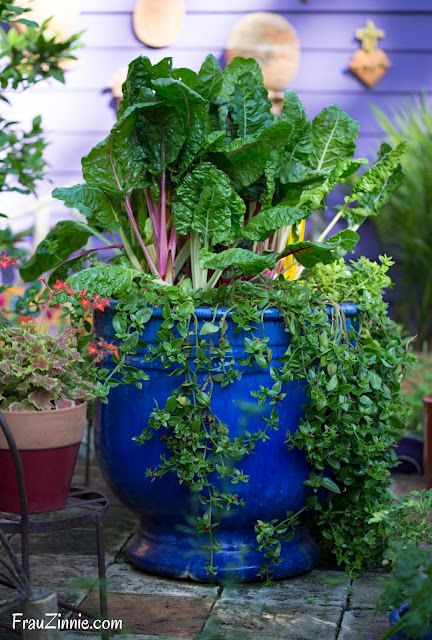 For larger plants, make sure you amend the soil with compost. I added a bag of Coast of Maine Lobster Compost to my main zinnia planting area last year and it definitely made the plants happy. Zinnias were some of the first annuals I started to grow in my Connecticut garden. The one issue zinnias sometimes have is powdery mildew, which is directly related to airflow around the plant. 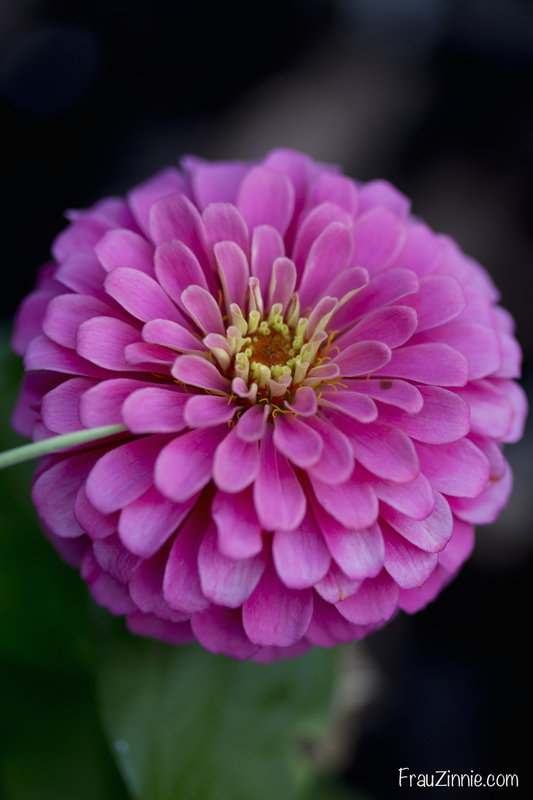 If you live in an area that tends to be on the humid side, look for zinnias that offer powdery mildew resistance, such as Benary's Giant, Pumila or the Zinnia marylandica varieties. When watering, avoid getting the leaves wet — try to water only at ground level (at the roots). They are reported to be deer resistant, but I haven't tested this myself. The area rabbits do leave them alone in my garden. They even tolerate being near black walnut trees — if they receive enough light. Zinnias with Black Eye Susans in my 2016 garden. 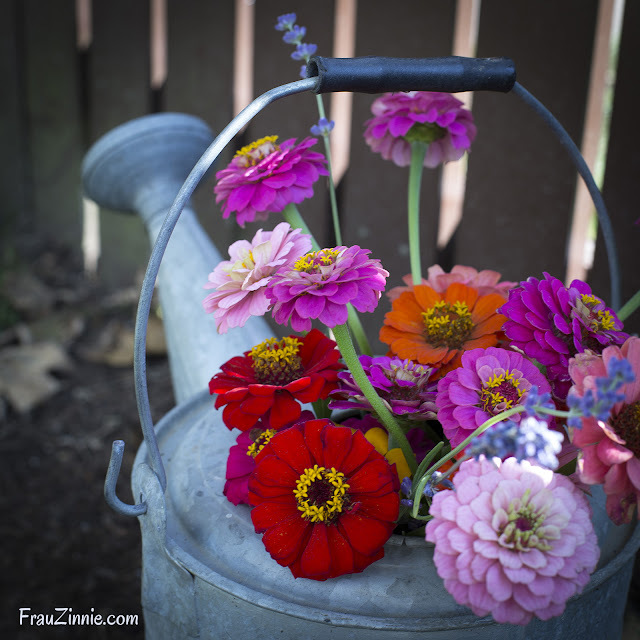 Which zinnias am I growing? For many years I grew the same type of zinnias over and over — a basic pink dahlia style. But at last count, I had 64 different varieties of zinnias in my seed stash. Zinnias have a lifespan of about three to five years, so some of these are older packets with leftover seeds from past growing seasons. Two of my favorites to grow have been 'Queeny Lime Orange' zinnia (an AAS Winner) and 'California Giants' zinnia (Botanical Interests). Both attracted many bees and butterflies to my garden. Every year I try to fit a few more zinnia varieties in my garden. This year I am devoting more space to milkweed in my garden for the monarch caterpillars, and I plan to grow more zinnias alongside them.